1) Bennett and Shaked left a perfectly good party to start a new party. Yada, Yada, Yada, they lost. Badly. They got beat by Meretz, which absolutely DOMINATED the vote on several entire streets near Gan Meir. They got beat by Moshe Feiglin’s party, whose entire campaign infrastructure appeared to be run off of Telegrass. So Bennett pushed back at a Press Conference today. 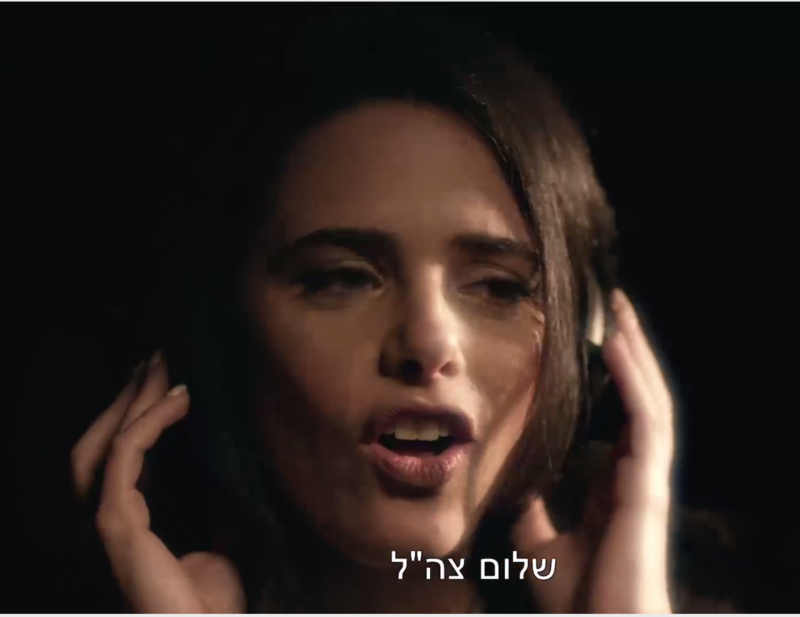 As the Press Conference adjourned, Ayelet Shaked could be seen behind the stage pushing an electric synthesizer, colored lights, and a fog machine. The Netanyahus narrate your Waze directions! So for Israel’s Independence Day, our very own President Rivlin let his voice be used for the driving instructions on Waze, the Israeli Navigation App. However, the Daily Freier learned that Rivlin was not Waze’s first choice…. but that all the other choices disqualified themselves for one reason or another. So the Daily Freier has uncovered the transcripts for these rejected applicants and shared them with you, our loyal readers. To date we have shared the Waze instructions provided by Times of Israel editor/author Sarah Tuttle-Singer and also your Nefesh B’Nefesh Aliyah Counselor! Anyhoo, guess who we have today? That’s right, the Netanyahus: Bibi, Sara, and Yair! Isn’t this Amazing? Let’s check it out! Prime Minister Bibi Netanyahu: Good afternoon and I would like to thank you for using Waze for your journey today. Did you know that Israeli innovation has led to the cherry tomato, the thumb drive, and Gal Gadot? We are truly the Start-Up Nation becau…. Sara Netanyahu: OK Hurry up and pull into traffic, we don’t have all day. Sara: Turn left! Didn’t I tell you to turn left? Why aren’t you listening to me? You don’t think I’m educated? I am a trained psychologist! Psych-o-lo-gist! B.A ! M.A ! Don’t you know who I am? You’re going to get fired! You want to get fired? Bibi: Sara, we can’t fire him. He doesn’t actually work for us. Besides, our new friend is going to do me a favor and run into this cigar store in the Tel Aviv Namal Port and pick up that box of Dominican Coronas I ordered. Wait, you asked how much you need to pay? Oh don’t be silly, I don’t pay for stuff like this. But go ahead and take this bag of deposit bottles in with you and bring back the change. Thank you my friend, I appreciate it. You know, a Waze trip is really a team effort. Like a sports team. Or, I don’t know, a submarine. Sara: You’re back?! Finally?! What are we paying you for? Hurry up and drive! 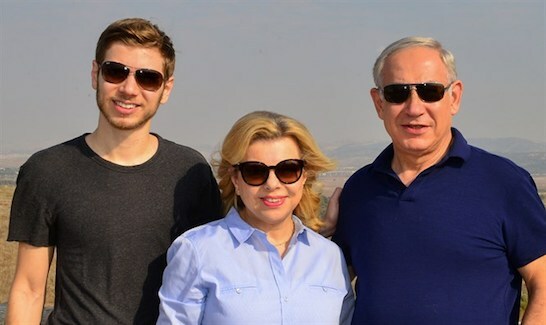 Yair Netanyahu: Hey, we’re about to pass the Pussycat Lounge. Can you jump out and ask if Cinnamon is working tonight? Because she said that if I bring people to the champagne room during her shift, she would rock my…..
Sara: Turn left! I told you to turn left! Bibi: Hey, you missed the turn. Where are you going? And why are you trying to get out of the car? We’re in the middle of traffic! Wait, you want to quit your Waze trip? Come on, let’s talk about this. Because I’m willing to do almost anything to keep you in this coalition car with us. Name your price. Close all the makolets on Shabbat? Deal. Keep exempting Haredim from conscription? Consider it done. Go back on my word about letting the Reform pray at the Western Wall? Done and Done. Hey, where are you going??? Yair: Achi, before you go…. can I borrow 400 Shekels?